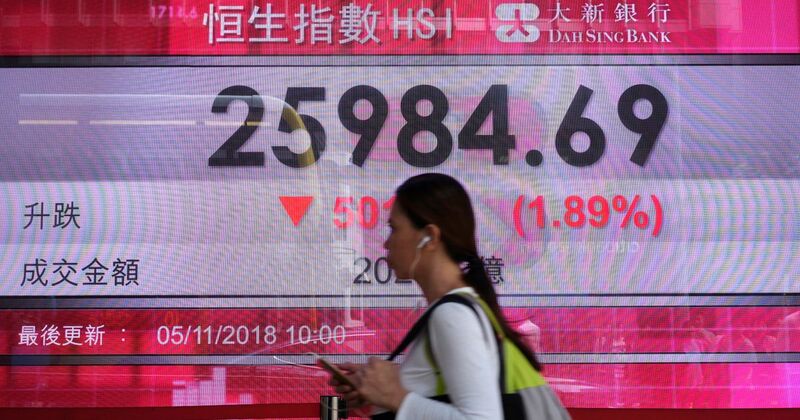 Asian stocks sank on Monday as fears of faster rate hikes in the United States and uncertainty around the Sino-U.S. trade war deterred investment in riskier assets, while sterling jumped to a two-week high on hopes of an orderly Brexit. Japan's SoftBank Group Corp Chief Executive Masayoshi Son will face questions on Monday about his company's dependence on Saudi Arabia, in his first public appearance since the murder of a journalist by Saudi security forces sparked global outrage. DBS Group Holdings Ltd, Southeast Asia's biggest lender, reported a quarterly profit that was mostly in line with estimates on Monday, helped by loan growth and higher net interest margin. Rich Chinese and other Asians are increasingly seeking more control of their wealth, driving a rapid rise in the number of so-called family offices, or private investment vehicles, being set up in Hong Kong and Singapore. At a near-empty Hyundai Motor showroom in the Chinese mega city of Chongqing, the store manager is grumbling about his shortage of customers and a lack of bigger, cheaper SUV models popular in the world's largest auto market. The rupee opened weaker on Monday tracking Asian peers due to strong U.S. jobs data that bolstered expectations of faster rate hikes there. Queen biopic Bohemian Rhapsody is the new box-office champion with a $50 million opening weekend that ranks among the best debuts for any movie based on a musician -- real or fictional. The post ‘Bohemian Rhapsody’ rocks the competition, becomes the new box-office champion appeared first on Digital Trends. 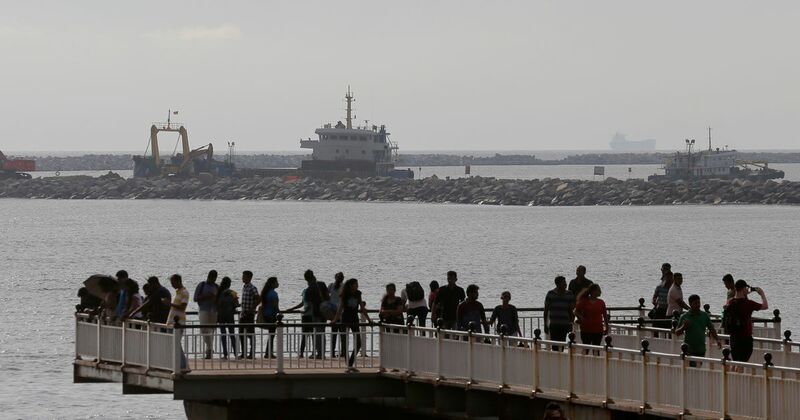 Oil prices fell on Monday as the start to U.S. sanctions against Iran's fuel exports was softened by waivers that will allow major buyers to still import Iranian crude, at least temporarily. Asian stocks were hammered on Monday as fears of faster rate hikes in the United States and uncertainty around the Sino-U.S. trade war dented risk sentiment, while sterling jumped to two-week highs on hopes of an orderly Brexit. China's online giants Alibaba and JD.com are taking their battle for relevance in the lucrative luxury goods market to a new level, as they aim to crack e-commerce tie-ups with top brands that usually shun selling through third parties. You wouldn’t expect somebody like AR Rahman to have been through suicidal feeling, right? Well, he lost his dad at the age of 9, went through a lot of hardships and there was a phase in his life where he felt like a failure and thought about ending his life almost every day. Up until [...] The post Up until 25, I used to think about suicide: A R Rahman appeared first on NextBigWhat..
Oil prices fell on Monday as the start to U.S. sanctions against Iran's fuel exports was softened by waivers that will allow some countries to still import Iranian crude, at least temporarily. Chinese state-backed semiconductor maker Fujian Jinhua Integrated Circuit Co Ltd billed itself as a national leader in the tech industry. It planned to drive a shift towards locally made chips and end a heavy reliance on imports, especially from the United States. So you've just joined the wonderful world of Reddit and want to explore it. With so many subreddits, however, navigating the "front page of the internet" can be daunting. You're in luck -- we've gathered 23 of the best subreddits to help get you started on the site. The post The best subreddits appeared first on Digital Trends.